The crickets, frogs and birds provided the soundtrack for a peaceful nights rest and it was once again time to do some kickin’ on the creek.The music started early on my day two and the fact that Mr. Childers would be playing later on Saturday night, I fully expected the crowd to be much thicker. 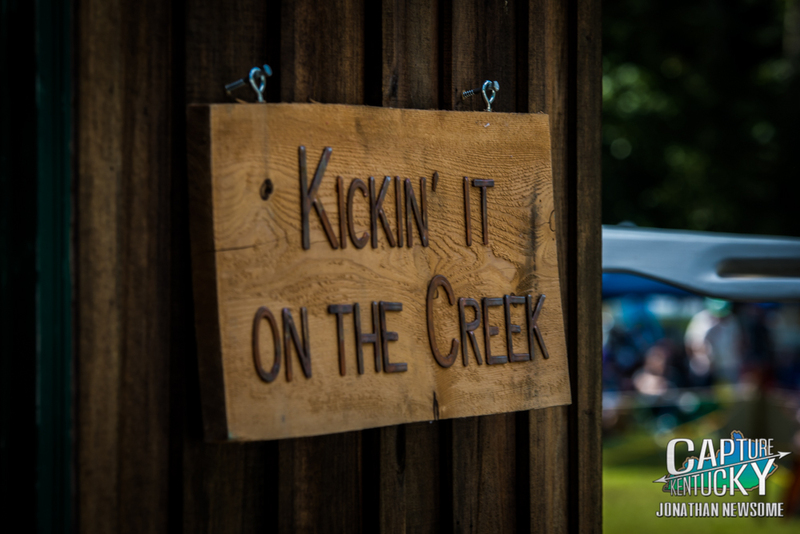 Kickin’ On The Creek is one of the most difficult festivals that I have ever been asked to describe. Why you ask? Thank goodness! I wasn’t sure how to move forward. So I’ll start here, family. The Roberts family has turned their beautiful homestead into a music venue. Wait, what? No seriously. Hear me out. Deep in the foothills of the Appalachian Mountains, part of the Daniel Boone Forest, technically in Lee County, Byron Roberts and his family have seriously turned their home into a music venue. What seems impossible is actually flat-out magical. Give me another example of such selflessness. I’ll wait…..You have nothing? That’s what I thought. The idea for Kickin’ It On The Creek was born from a birthday party. No, again, seriously. When Kenton Roberts turned 21, Byron and Kelli threw him a birthday party and invited several local musicians to participate. Just so happens, one of those locals eventually became a household name for us Kentuckians and the rest, as they say, is history. The local? Tyler Childers. Every year since, with this being the fourth year, folks have traveled as from as far away as Oregon to experience such a unique event. Kickin’ It On The Creek (KIOTC) has quickly grown into the absolute MUST have ticket for Kentucky Festivals. The four-day event held deep in the foothills of the Appalachian Mountains has drawn in like-minded folks who have banded together to create a beautiful, helpful, loving community. There’s even a common phrase used by those in the musical community and it’s eloquent in its simplicity, “Know Your Tribe.” I can say first hand that once you are accepted within the “tribe”, your faith in humanity will get a huge jolt in the restoration department. Now I’ve heard a million stories about how magical KIOTC is. 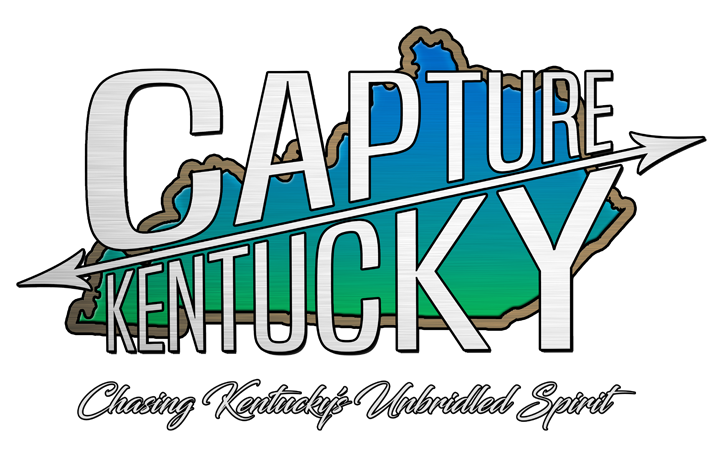 How it is all about community and how that is right up our alley here at Capture Kentucky. So when you get a phone call from KIOTC owner Byron Roberts asking you to be a part of something as special as his event, you simply, “Yes, Sir.” Mr. Roberts also gave me a compliment that I can not thank him enough for. He sees how we’re benefiting artists and creating a genuine spotlight for all the talented folks that we can. He told me that he likes, “The eyes that I see this community with.” That told me that our missions, intentions and hearts were in the exact same spots. A lot of us here in Kentucky feel that there is a musical revolution that’s beginning to take shape here and I personally think a lot of the recent success stories point right back to the vision that Mr. Roberts created. 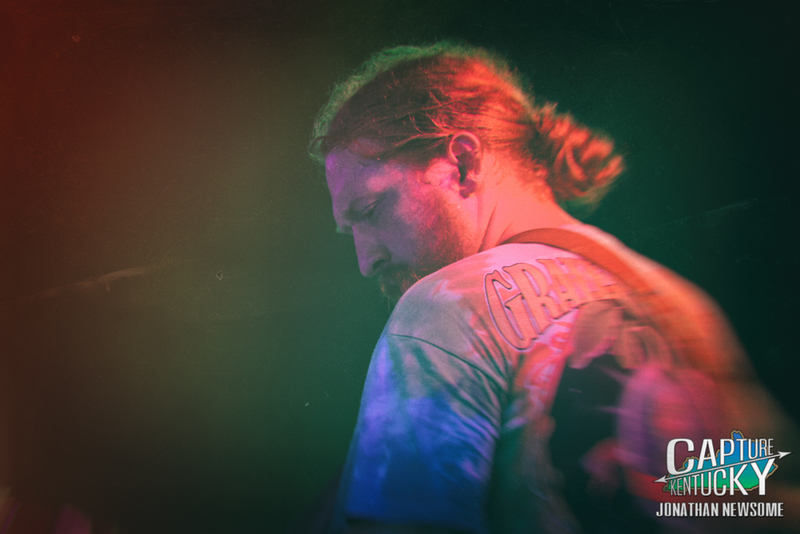 Folks like Tyler Childers, The Wooks, Arlo McKinley, Justin Wells and countless others have made tremendous gains in popularity just from being a part of KIOTC. Having said all of that, I felt that I needed to create a list for those folks that may be overwhelmed with so many performances. I will focus only on Kentucky artists for this list. That’s definitely not a slight towards any traveling artists, it just makes more sense in helping us build a community. We won’t be able to make it on Thursday unfortunately, but if you see us during the weekend, say hey. We ordered 3000 stickers and they are supposed to be here by Friday. So snag ya one if ya like! Also, don’t forget to bring cash for your artist merch, food and drink purchases as there is no cell or wifi service available. John R. Miller is a well-known singer-songwriter from West Virginia that has been a major influence on many Kentucky musicians. Miller’s work with Prison Book Club caught the attention of a young Kentuckian by the name of Tyler Childers. Childers went on to release a version of Prison Book Club’s “Coming Down” on his ‘Live on Red Barn Radio I & II’ release. I tell you that to help you understand why we’re featuring a West Virginia songwriter on Capture Kentucky. 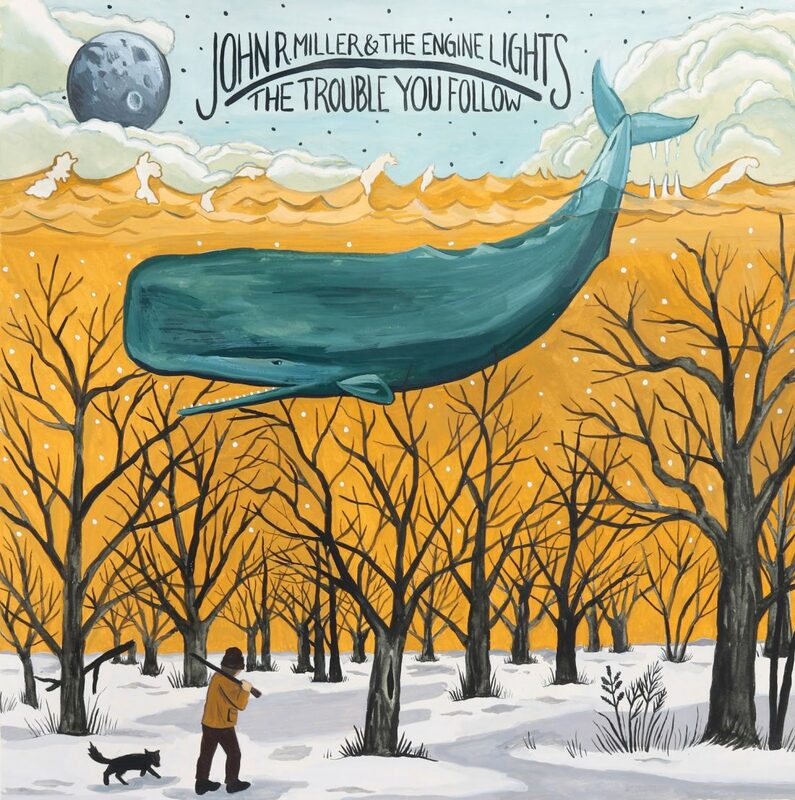 John R. Miller and his songs are simply that important and Miller’s new release is on Emperor Records, which happens to be based right here in Central Kentucky in Lexington. The label is also the home of now Kentucky native, Darrin Hacquard. 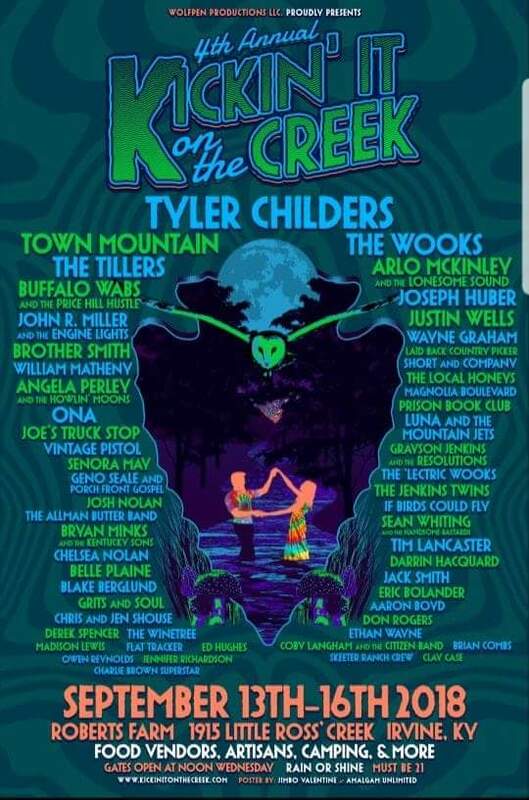 John R. Miller & The Engine Lights will also be performing at the one and only sold-out Kickin’ It On The Creek in Estill County, mid-September.